Where ever and when ever you need Santa give us a jingle! Serving the greater Chicago area for over 30 years. How do you encourage compassion for others? As Santa Claus, I needed a way to remember special children I met during my yearly travels. Over the years I have met many children that I have seen do special acts of kindness: being kind to those in need or to animals in distress or just being kind to and respectful of others. I needed something for those children that stood out among all the others that I would see. Something needed to be done right then and there to say how nice it was to see children behaving in a way that brought positive attention to them. I would always tell them how wonderful it was to see them doing positive things and going above and beyond the norm. What would be a way for me to remember them at Christmas when I was delivering their presents? The idea of a coin popped into my head. What kind of a coin should I create? Should it be made of metal or wood? I decided on wood. A wooden coin! What a perfect idea for a toy maker who makes wooden toys. A Wooden Coin from Santa it shall be. That was how my tradition of handing out wooden coins was born. From that day forward, whenever Mrs. Claus and I see a child being kind or they ask us, “Are you Santa and Mrs. Claus?” we stop to talk. We ask if they have been good and are true believers in us. If so, we give them a coin and tell them the story of the Wooden Coin. This brings a smile to their face and to their parents’ faces knowing that their child has been caught being good and is a true believer in Santa and Mrs. Claus. One encounter stands out as being very special. Last December, Mrs. Claus and I met “Amy”, a smiling nine year-old patient, at Shriner’s Children’s Hospital in Oak Park, IL. Amy has been a patient at Shriner’s for eight of her nine years of life. We first met Amy in the dining area with her parents and sister. We asked her what she wanted for Christmas. She smiled broadly and told us that she really, really wanted glitter slime, a dolly and anything else that I would like to leave for her. Amy and the other children who were there for the Christmas party at the hospital went into the auditorium to pick out any presents they wanted. We continued visiting with other families and then went into the auditorium to see the children selecting their gifts. The auditorium was lined with hundreds of toys as families helped their children find the ones that they wanted. Mrs. Claus and I were talking to staff and families when a nurse at the hospital came up to us and told us of a young girl that did something extraordinary. This young girl gave up the present she really wanted to a younger child who was crying because there was no more glitter slime. The nurse told us that this girl saw the crying child and said, “Here, you can have my glitter slime.” She did this without prompting from any adult. When the nurse pointed out the very kind child, I immediately recognized Amy, the nine year-old I met in the dining area who really, really wanted glitter slime. I walked over to her, knelt down, took her hand, and told her that what she had done was what Christmas is all about. Her act of kindness was so wonderful and special that Mrs. Claus and I wanted to do something special for her. We asked the parents to come over because we wanted to give their daughter something special. We told the story about my tradition of handing out wooden coins and how special it was. Because she was so kind, she was getting one from us. The auditorium fell totally silent as I told her the story. The parents were in tears and the staff and the families in the auditorium cheered and cried all at the same time. This was a very special delivery to a very special and beautiful young girl. Remember, it is how we treat each other every day that makes us who we are for the rest of our lives. Try to make cultivating kindness an important part of your daily life. It is with great pleasure I recommend Bob and Carol Hildreth as Mr. and Mrs. Claus. They are wonderful people to work with! I first met Bob and Carol at the charity event, Pet Photos with Santa, for the Elgin Police Department. We worked together at this event for the past three years. They were cordial and professional as they interacted with each family who brought their pets in to be photographed. They also worked calmly and lovingly with the animals placed on or near their laps. 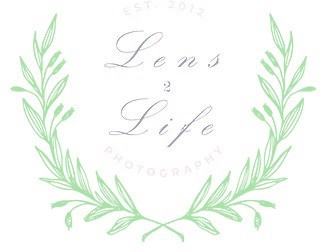 I enjoyed working with Bob and Carol at this charity event so much, I hired them for my own Christmas mini sessions and have used them for the past two years. When it came to my own mini sessions, I found that Bob and Carol work just as well with people as they do with the animals. My clients absolutely rave about them. Not only do they look authentic, but they are extremely good with children. The married duo are retired educators and know how to work with children who have special needs and/or who might be afraid to meet them. They are able to quickly “size up” a situation and approach my young clients in a way that makes getting those cute shots achievable. They know when not to force things, which could make matters worse and possibly more stressful. In addition, when things weren’t going as smoothly, they offered some suggestions of things we could try so that we could still get a shot with Santa in the picture without traumatizing the child. Another thing I really enjoy when working with Bob and Carol is that they help me to feel at ease when I am photographing my minis. Oftentimes, mini sessions are scheduled back to back so the photographer can photograph as many families as possible in a short time. When you add in the factor that a child might be hesitant to take a picture with Santa, the pressure can be great when trying to stay on schedule. Together, Bob, Carol and I work as a team to get each session accomplished. Their flexibility and intuitiveness is always appreciated. They know when to step aside and let me get holiday pictures without them and when to jump in. What I really love is that when they are not needed, they interact and talk with clients who are early and waiting for their session. I have noticed that when they do this, it often “warms up” my clients so that they aren’t scared and they are ready to go when the time comes. Perhaps my most favorite thing about working with Bob and Carol is the little bit of magic they give at the close of each session. 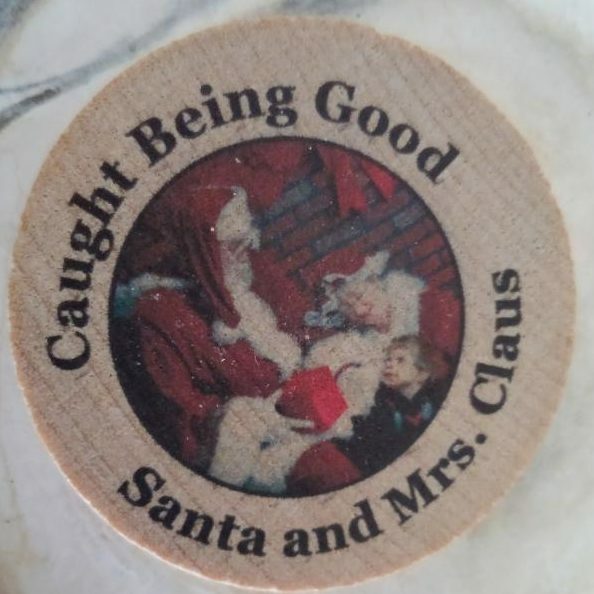 Upon saying goodbye to my young clients, Santa pulls out a special wooden coin for each child to take and tells them to put it under the tree on Christmas Eve. He explains to the children that the coin will remind him they met and he will leave them something a little extra special that year. That look of anticipation on the children’s faces, wondering what Santa will leave them for Christmas, is priceless and takes me back to when I was a kid. 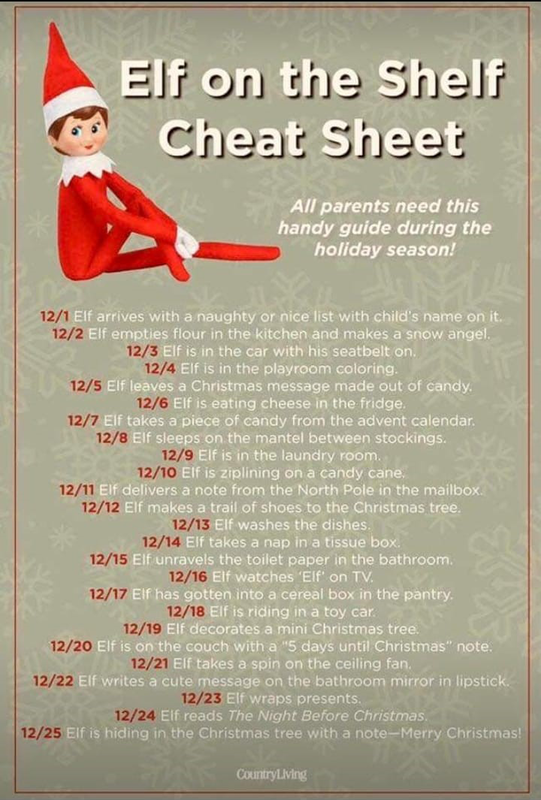 Not to mention, it’s a special added touch that my little clients’ parents remember and love. 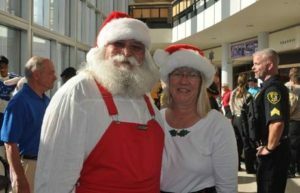 It is for all these reasons that Bob and Carol Hildreth will always be my Santa and Mrs. Claus. I couldn’t imagine anyone else playing such an important role in my Christmas mini sessions. For the past 3 years, we have had the pleasure of having Santa Bob and Mrs. Clause (Carol) assist us in our Santa Connection. This is not a normal Santa gig. Santa brings his experience virtually to children in some Chicagoland and Wisconsin hospitals. Using video conferencing and telehealth solutions, Santa delivers his message and joy to these children. The smiles on their faces are inspiring to all of us on the technology end of the call. Since we are using technology, there are challenges and obstacles, but Santa Bob and Mrs. Carol are professionals and bring smiles to the children every time. We are so fortunate to have met this awesome couple. We get to spend 2 whole days with them every year and at the end of these 2 emotionally draining days, we make sure to schedule our dates for the next year. Highly recommended, just don’t try to take our dates! 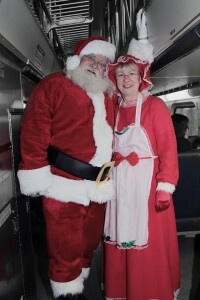 Santa and Mrs. Claus would like to “Thank You”, for another great Christmas season. We enjoyed visiting with every child, family and organization. To all the families we visited, “Thank You” for letting us into your homes and for letting us be a part of the events you attended. To all the boys and girls we met, it was delightful to hear all your Christmas wishes. Your wishes and requests brought a smile to our faces and warmed our hearts: from the special requests of certain toys, to one child wanting peace on Earth and love for all, and others that said, “I have all I need, I have my family”. Mrs. Claus and I hope we were able to make most of your wishes come true. To the companies and organizations that included us in their events, we want to express a heartfelt, “Thank You”, Merry Christmas and a Happy and Healthy New Year. We look forward to being a part of your events in 2019.
and all the homes and private parties we visited. 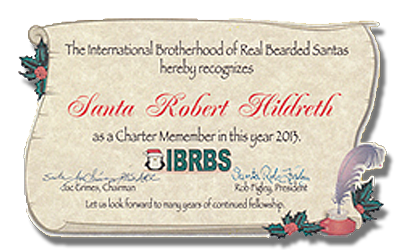 I couldn’t be happier to recommend my close personal friends, Robert, and Carol Hildreth, otherwise known as Santa and Mrs. Claus. I have had the pleasure of working with Robert and Carol for the past three years and can confidently say that they are absolutely the most kind and caring people to work with. Robert and Carol have assisted the Elgin Police Department Animal Control Unit with our annual “Pet Photos with Santa” event since 2016. Robert and Carol have volunteered their time each year to sit and meet with pets from around the Elgin area, without any request for compensation or recognition. Robert and Carol truly embrace the rolls as Santa and Mrs. Claus as they are patient and loving with the pets, but also take time out to talk to each child that comes in for photos with their families. Ever since we first met, Robert and Carol’s incredible friendliness and interpersonal skills have always impressed me. They truly embrace the magic of the season, from their tailored costumes to the custom wooden coins they hand out to the children. More importantly, everyone who interacts with Robert and Carol are always blown away by their selfless, kind, and warm-hearted nature, making it very easy to believe in Santa once again. It is truly a privilege and an honor to have worked with Robert and Carol, and I look forward to working them in the future. I wholeheartedly recommend their services to anyone looking for a Santa and Mrs. Claus and assure you that their commitment to their characters are without a doubt the best I have seen. Please feel free to contact me if you have any questions. This is our public only schedule. We hope that we see you at one or more of our events, to take pictures, update wish lists and enjoy in the celebration of Christmas. Mrs. Claus and I wish you and yours a Very Merry Christmas and a Happy and Healthy New Year. October 14th: A.B.A.T.E. Toy and Food Run, Starts at 11:00 am at Knuckleheads, 108 E. North St. Elburn, Illinois, 60119 and ends at Batavia VFW, 645 S. River St. Batavia, Illinois, 60510, for food, and fun. This event is a Motorcycle run and charitable event, you must bring food or toy for entrance into the event. November 6th: Elgin Police, 151 Douglas Ave., Elgin, Illinois. Pictures with Pets with Santa and Mrs. Claus, 5:00 pm – 9:00 pm, Charity Event. Pictures with your pets must bring a food item, beds, toys for pets in order to get the picture taken with Santa and Mrs. Claus. December 1st: Pictures with Santa and Mrs. Claus at Wasco Nursery, 41 W. 781 Il. Route 64, St. Charles, Illinois 60175, 12:00 noon-4: 00 pm. For more information see WASCO Nursey website, www.wasconursery.com. December 8th: Pictures with Santa and Mrs. Claus at Geneva Bank and Trust, 514 W. State St. Geneva, Illinois, 60134 from 9:00 am – 12:00 noon. For more information please visit Geneva Bank and Trust website www.genevabt.com. December 15th: Breakfast with Santa and Mrs. Claus at Chicago Botanic Gardens, 1000 Lake Cook Rd., Glencoe, Illinois 60022 from 8:00am-1: 00 pm. For more information please visit www.chicagobotanic.org. December 16th: Breakfast with Santa and Mrs. Claus at Chicago Botanic Gardens, 1000 Lake Cook Rd., Glencoe, Illinois 60022 from 8:00am-1: 00 pm. For more information please visit www.chicagobotanic.org. 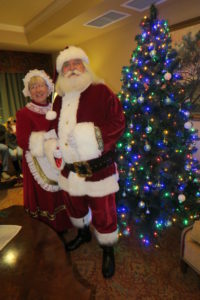 December 19th: High Tea with Santa and Mrs. Claus at the Drake Oak Brook Hotel, 2301 York Road. Oak Brook Illinois, 60523, from 2:00 pm-5:00 pm. For more information please visit their website www.thedraeoakbrookhotel.com. December 20th: High Tea with Santa and Mrs. Claus at the Drake Oak Brook Hotel, 2301 York Road. Oak Brook Illinois, 60523, from 2:00 pm-5:00 pm. For more information please visit their website www.thedraeoakbrookhotel.com. 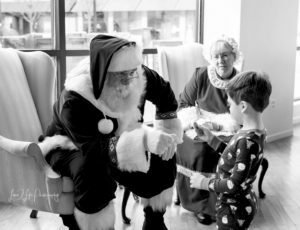 December 21nd: Breakfast with Santa and Mrs. Claus at the Drake Oak Brook Hotel, 2301 York Road. Oak Brook Illinois, 60523, from 9:00 am-12:00 noon. For more information please visit their website www.thedraeoakbrookhotel.com. December 22rd: Breakfast with Santa and Mrs. Claus at the Drake Oak Brook Hotel, 2301 York Road. Oak Brook Illinois, 60523, from 9:00 am-12:00 noon. For more information please visit their website www.thedraeoakbrookhotel.com. December 24th: Visit from Santa and Mrs. Claus at, The Chapel Immaculate Conception, Church, 134 Arthur Street, Elmhurst, Illinois 60126 at 3:45 pm. For more information please visit their website www.icelmhurst.org. Santa and Mrs. Claus are looking forward to another great season. We will be returning to a number of our events from the last few years as well as enjoying some new partnerships. Mrs. Claus and I are hoping to continue your traditions and start new ones. To everyone, we meet we want to bring joy, happiness and the true spirit of Christmas to you and yours. To the companies, organizations, and friends, old and new, that have included us in their events for 2018, we would like to wish you a Very Merry Christmas and a Happy and Healthy New Year in 2019. And all the homes and private parties we will be visiting. Thank you for your trust in us and continuing the Spirit of Christmas with your families and friends. More to come. Hope to see you all. 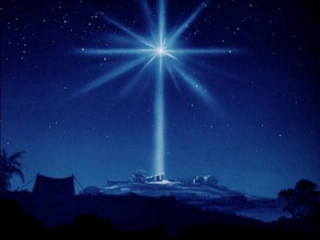 “It Came Upon the Midnight Clear”, this magnificent hymn, written by the Rev. Edmund Hamilton Sears, will be a favorite with children and older folks alike. It has been more than 150 Christmases: it was composed in 1849 and published a year later in a Boston magazine called the Christian Register. The editor of the Register Dr. Morrison, had received a copy of the hymn from the author soon after its writing. Long before it appeared in print, Dr. Morrison was giving it to his friends verbally. He read it, on one occasion, at a Sunday School Christmas festival where it attracted much interest and praise. Portions of this were originally written by Horace B. Powell. I believe that the singing or reading of the original lyrics brings the world’s difficulties into perspective. We need to have more faith in mankind to work towards a more peaceful world. Caring about our fellow man is very much a part of Christmas.